One often sees tracks of different particles in an event. You will work as a detective in this first exercise. Find all electrons, positrons, muons, anti-muons, neutrinos, and jets in a given event (pictured in several event displays). In doing so, you will name the particle content of the events. You can check your decisions by using the form next to the pictures. 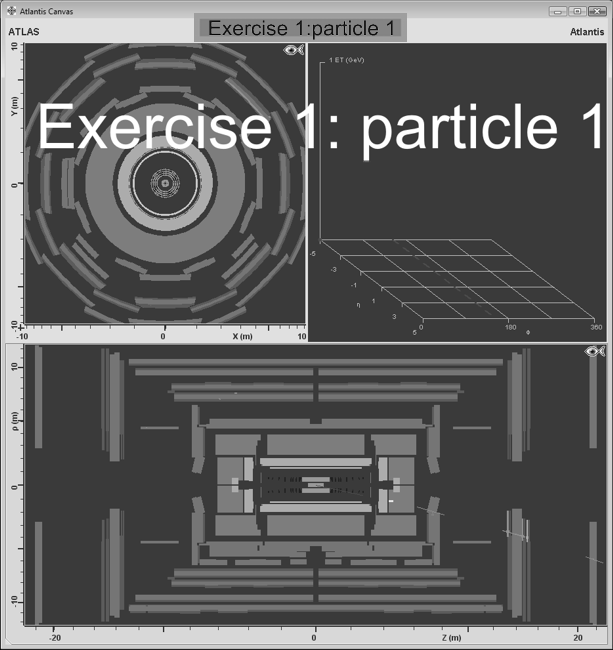 There you can choose the particle or object that you think is present in the event After choosing the particle(s) you can check your decision by clicking on 'Check'. In order to show the correct answer click on 'Correct'. The 'Hint' button will provide a hint.